Completing a gym facility design for The United States Marine Corps, the world’s most formidable fighting force, was nothing short of an honor and a privilege. Their storied history dates back to 1775 when Samuel Nicholas formed two battalions of Continental Marines. 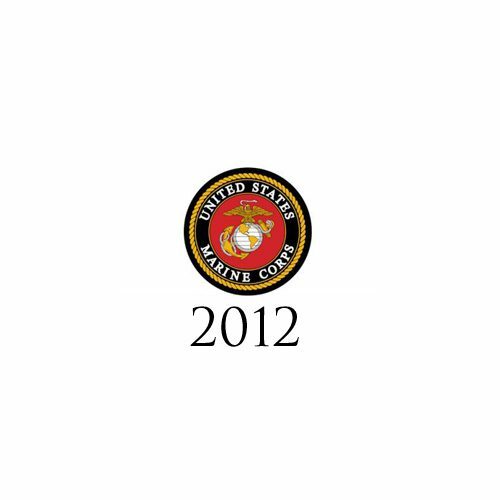 The Marines have served with great distinction in every American armed conflict since. 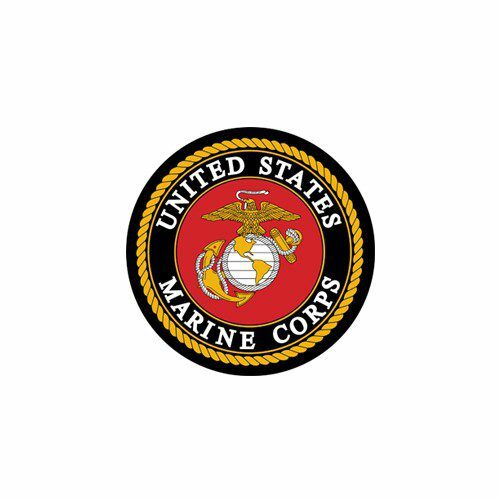 In 2001, the USMC instituted a program called Marine Corps Martial Arts Program (MCMAP). 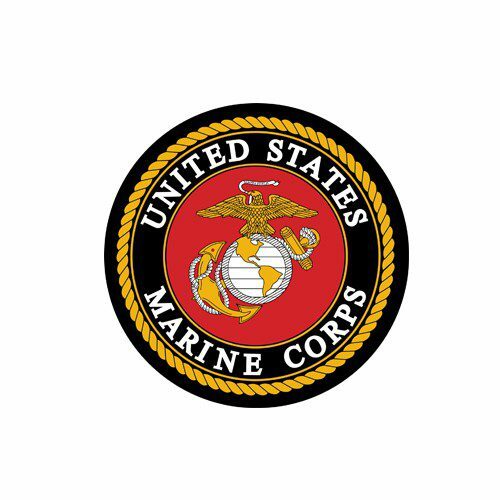 Its mission is to arm Marines with a less than lethal option for dealing with hostile unarmed individuals in urban environments. MCMAP draws upon aspects of several different martial arts disciplines that Marines start learning in boot camp. Camp Pendleton is home to the 1st Marine Expeditionary Force (I MEF). In keeping to this new doctrine, they constructed a new multi-million dollar Martial Arts Training Facility. US Gym Products had the privilege of completing this gym facility design, as well as building and installing their new martial arts spring floor. 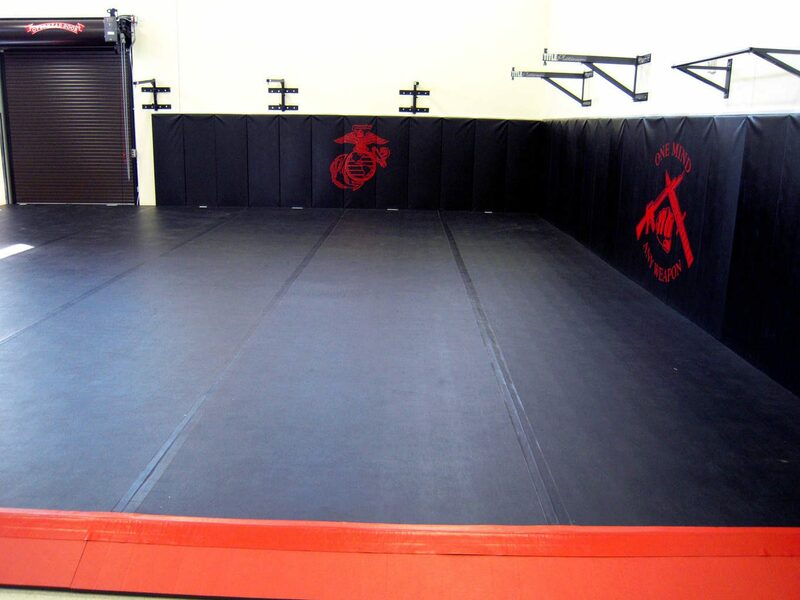 Melding martial arts matting to a gymnastics spring floor produces a force multiplier for Marines. It gives them the ability to work on throws and fighting skills on a much more forgiving surface than older floors. Older floors usually consisted solely of mats over concrete. This new floor’s enhanced resilience and impact absorption enable Marines to get more reps and become more proficient. It also minimizes the risk of accidental injury. Note that this spring floor’s two outer edges are equipped with a sloping border while the other two are butted against walls. It is crucial the floor not shift and move away from the walls, and therein lies a true challenge. When a number of people are moving in the same direction on a standard spring floor or landing simultaneously near its edge, that floor can “hop,” even over the top of a retention wall. This was the challenge in this gym facility design since there will be 20 or so Marines training on the floor at any given time. Solving it required us to develop an innovative new design feature shown in detail below. 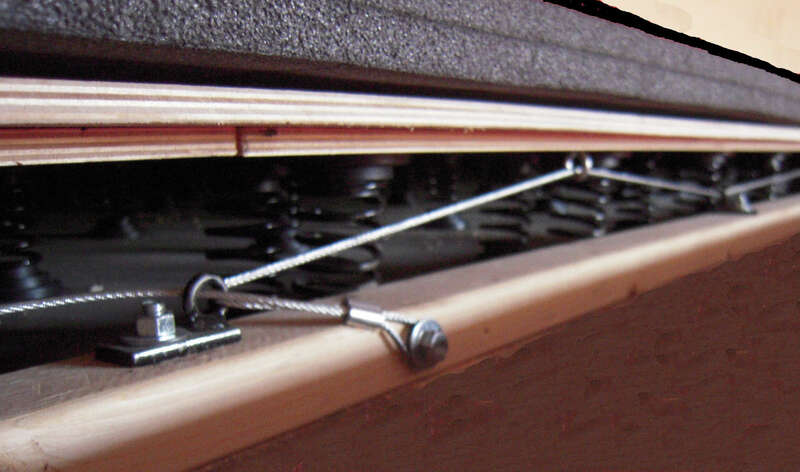 Our unprecedented cabling system locks the floor in place. This enables the floor to withstand anything anyone—even the Marines—can throw at or on it. US Gym Products is a proud supporter of our brothers in arms. Completing a gym facility design for The United States Marine Corps, the world’s most formidable fighting force, was nothing short of an honor and a privilege. 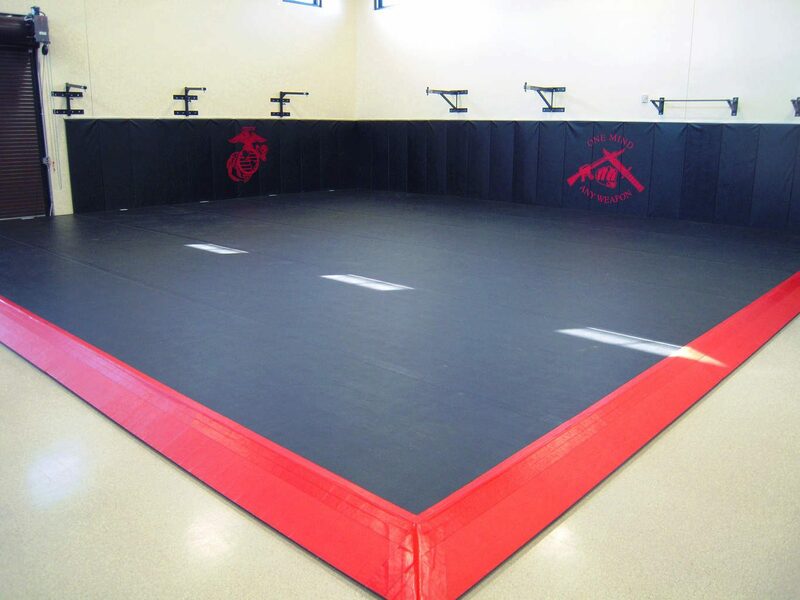 US Gym Products completed this gym facility design, as well as built and installed their new martial arts spring floor.